If you’ve never been able to decide between vintage vogue and cutting-edge chic, the Grotti Cheetah Classic will let you have it both ways. This beauty has been setting trends and breaking records ever since it rolled off the production line three decades ago, so if you want to ooze class and rocket fuel all at the same time, your number just came up. The Cheetah Classic is now available exclusively at Legendary Motorsport. Imagine the calm, rigorous fun of launching yourself through the sky at the center of a distant target in a Ruiner 2000 with only the onboard parachute separating a top score from a deadly fireball. Well, Overtime Rumble is just like that, only you and every other adrenaline junkie in Los Santos are all hitting the accelerator at the same time. This can only end well. This team-based vehicular remix of Darts is for up to 10 players, and has you trying to land your Ruiner 2000 on platforms of various sizes, each worth anywhere between 1 and 5 points. 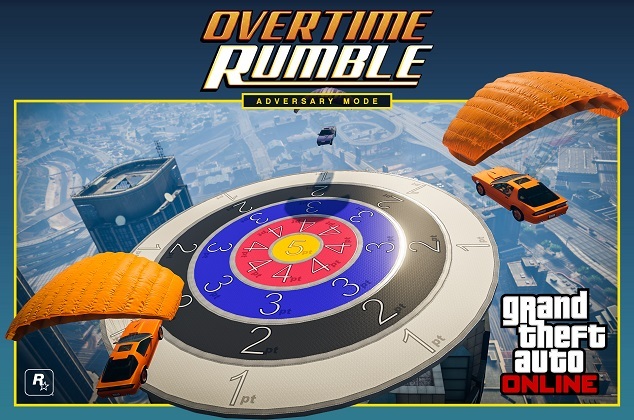 Accuracy is rewarded with Double GTA$ & RP now through July 17th in Overtime Rumble. • Time Trial - "Up Chiliad"
Launch Premium Races though the Quick Job App on your in-game phone or via the yellow corona at Legion Square. The top three finishers receive GTA$ payouts and all participants are awarded Triple RP. To participate in Time Trials, set a waypoint to the marker on your in-game map and enter via the purple corona. 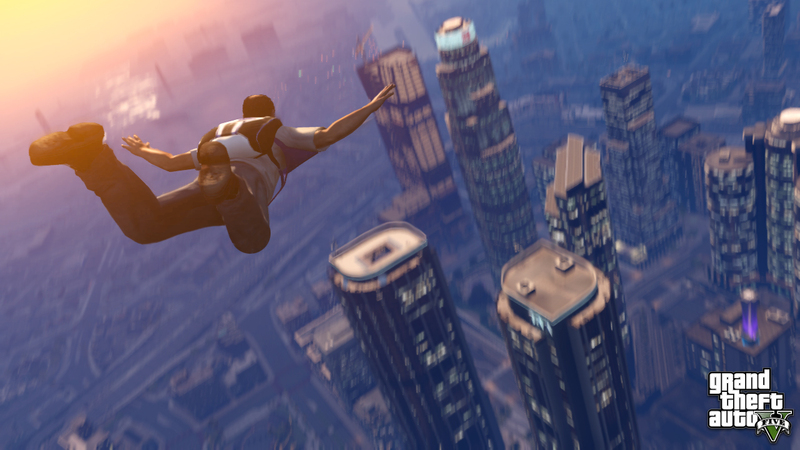 Sizable GTA$ & RP rewards await those who can beat par time. Cheetah Classic, Overtime Rumble Mode - The Cheetah Classic arrives in new-gen GTA Online plus a new adversary mode: Overtime Rumble. Of course there are more discounts and bonuses to boot!